Primary pleural effusion is a disease in which no abnormalities other than pleural effusion are noted, in which lymphatic fluid leaks into the pleural space (surrounding the lungs) during the fetal period, via a condition known as congenital chylothorax. It is said to occur in around one in every 10,000 live births. Fetal pleural effusion can, in some cases, improve naturally, but if it does not improve and fluid build-up is significant, it can place pressure on the heart and result in hydrops. Furthermore, if the lungs are under pressure for long periods of time, their development can be inhibited, leading to poor prognosis. A pleural space-amniotic fluid cavity shunt procedure, involving the positioning of a catheter in the fetal pleural space, and which continually drains the pleural effusion to the amniotic fluid cavity, was first reported in 1986. Reports once gave the survival rate for cases in combination with severe fetal edema of 62% (77/125), indicating that the treatment is effective in comparison with the survival rate for cases in which fetal therapy is not implemented, which is 35% (7/20). 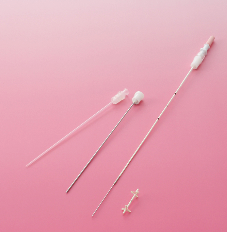 In Japan, a double basket catheter (manufactured by Hakko Co., Ltd.) unique to Japan was developed around 1990. The Fetal Therapy Group has been carrying out clinical trials using this catheter (see attached reference materials) and has demonstrated its effectiveness in pleural space-amniotic fluid cavity shunt procedures. The pleural space-amniotic fluid cavity shunt has the objectives of removing pressure on the heart and lungs, improving fetal edema, and preventing hypoplasia of the lung. Where significant pleural effusion is noted, thoracocentesis is implemented for both diagnostic and therapeutic reasons. If fluid builds up again within a week, the case is diagnosed as severe, and a shunt procedure is implemented. Guided by ultrasound, the catheter is introduced from the abdominal wall of the mother’s body to join the fetal pleural space to the amniotic cavity within the uterus, providing continuous drainage of the pleural effusion into the amniotic cavity. When pleural effusion is drained into the amniotic cavity, the lungs expand and the heart grows in size, gradually improving fetal edema. Directly afterwards, however, uterine contractions may strengthen, or amniotic fluid may temporarily increase. The tube may also become blocked as a result of fetal movement or vernix, or may become dislodged, necessitating close monitoring of both mother and baby following the procedure. As it was necessary to implement safety confirmation trials on the catheter prior to this treatment being more widely rolled out, this research group implemented a clinical trial between April 2008 and March 2010, entitled “A Study of the Pleural Space-Amniotic Fluid Cavity Shunt Procedure in Severe Fetal Pleural Effusion Cases” (a Ministry of Health, Labour and Welfare Scientific Research Project). The overall survival rate was 79% (19/24), with 71% (12/17) survival in cases with fetal edema and 100% (7/7) survival in cases without fetal edema, demonstrating the effectiveness of the therapy. Complications took the form of early rupture of membranes within 28 days of the shunt procedure in 4% (1/24) of cases, and the shunt becoming dislodged in 10% (4/42) of cases. This demonstrated the effectiveness and safety of the shunt procedure using the Japanese double basket catheter. In October 2011, the double basket catheter was officially authorized as a medical device for use in fetal therapy in Japan. In addition, since July 2012, the shunt procedure has been officially covered by health insurance for the treatment of fetal pleural effusion, opening up a new step in fetal therapy. Given the need to maintain quality in fetal surgery, it is necessary to specify conditions for the implementation of therapy, namely, it is necessary to meet the following implementation criteria when using the “Fetal Shunt” manufactured and sold by Hakko, Co., Ltd. (Medical device authorization number 22300BZX00465000). (1) The institution must have the facilities to provide emergency cesarean sections and NICU. (2) The institution should be easily co-operated by an anesthesiologists and a doctor specializing in neonatal medicine and a pediatric surgeon . (3) The institution must have an ethical committee and consent with it. 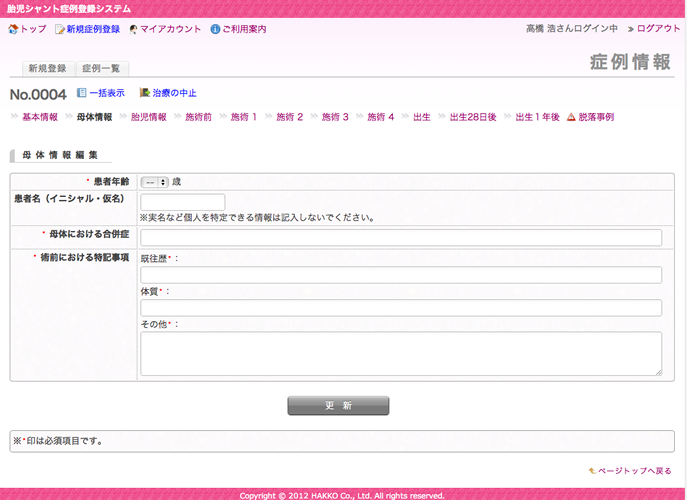 (1) The implementing doctor must be a specialist connected with the Japan Society of Obstetrics and Gynecology, with experience treating five or more cases of fetal pleural effusion (preferably a specialist or attending doctor connected with the Japan Society of Perinatal and Neonatal Medicine). (2) The implementing doctor must have experience of shunting operation (at least two cases). For cases in which (1) can be met but not (2), the procedure should be implemented under the direction of an attending doctor with more experiences of shunting operation (with at least five cases experiences). The purpose of post-marketing surveillance was to collect information of the outcome, including safety and adverse effect, for use in the application for re-evaluation, which was a condition of approval when the fetal shunt was authorized. In the case of the fetal shunt, this equates to the “Survey of Results during Specified Use,” as specified within the Pharmaceutical Affairs Act. 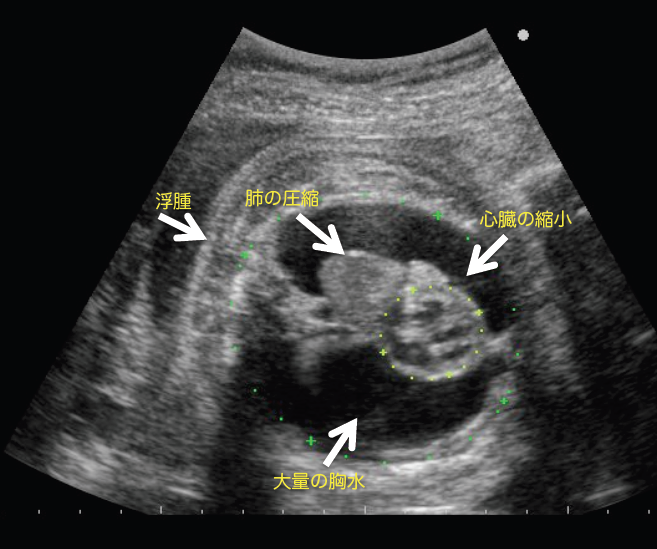 All cases in which the fetal shunt is used are recorded and used in post-marketing surveillance (Survey of Results during Specified Use). The results of the surveillance are reported each year (for seven years) to the Pharmaceutical and Medical Devices Agency.